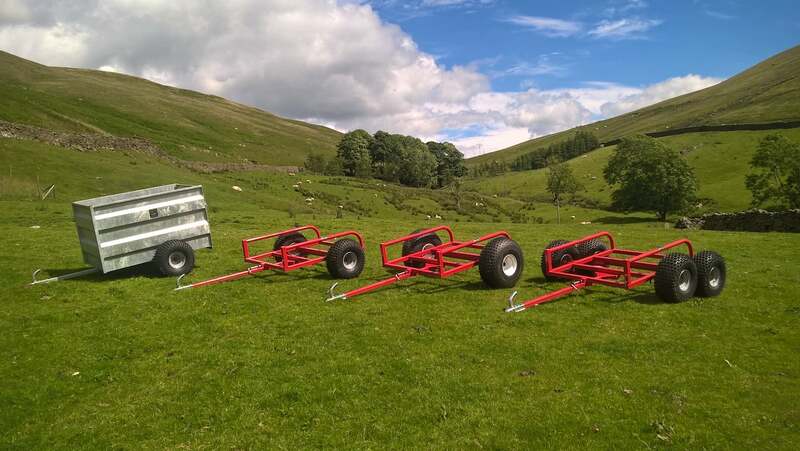 Williams Agricultural Engineering manufacture a range of ATV trailers, including ATV Bale transport trailers and livestock trailers. Our trailers are made to a high standard using only durable, high quality parts to offer a long life of service. We supply trailers to both trade and the end user. Williams Agricultural Engineering can also manufacture bespoke trailers to meet the customers requirements. For transporting sheep and other livestock. Transport bales of silage using your ATV.